St. Philip Orthodox Church - What is the Rule of Faith? What is the Rule of Faith? The Scriptures are God’s gift to the Church. But the Church has realized from the very beginning that, like all of God’s good gifts, Scripture can be misused. The Church, then, has never related to Scripture as the sole, self-sufficient source for our understanding of God and all the matters of Christian faith and practice—it is a central source, but not a self-sufficient one. The reason for this is twofold. 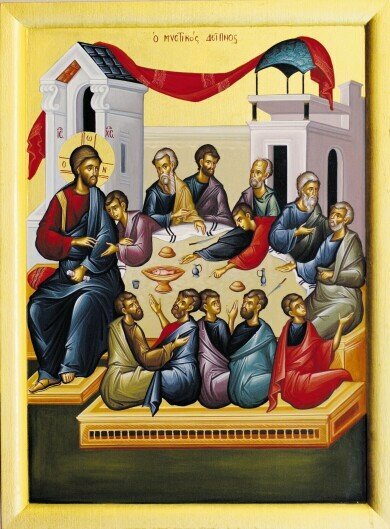 First, the life of the Church is first and foremost a communion of persons, of the Triune God and all those who are in Christ, preeminent of which are the Apostles. When we hear the words of Scripture, then, we are hearing the personal voice of the Apostles exercising their living, divine authority in the Church. Second, the Church is a living reality that cannot be boiled down to a text or traditions of textual interpretation. It has never been the case that every belief or practice of the Church has had or needed some explicit, “self-evident” statement in the Scriptural text as a kind of “external” validation. How, then, does the Church—and her Bishops—guard the Apostolic inheritance and “rightly divide the word of truth” (2 Tim 2:15), that is, make the important distinctions between right belief/practice and heresy? In the 2nd century, St. Irenaeus, bishop of Lyon (France) clearly articulated the principle of interpreting Scripture by the Church’s “Rule of Truth/Faith.” The “Rule of Truth” is essentially the Creed which we “received by means of baptism” (Against Heresies 1.9.4). This Creed and the worship of the Church in and from which it flows, allows us to fit all the diverse expressions of Scripture, like pieces of a mosaic, into one coherent “body of truth,” that is the Image of God/Christ the King. Tertullian of Carthage (ca. 155-220), who himself perhaps did not end up avoiding the taint of heresy, even went so far as to refuse to debate the meaning of Scripture with heretics, since “no one may be admitted to the use [of the Scriptures] who has no title at all to the privilege” (On the prescription of heretics 15). These early fathers are clear: Scripture belongs to the Apostolic Church and can only be faithfully interpreted with the “mind of the Church,” which is the “mind of Christ” himself (1 Cor 2:16). This “mind” is entered into in the Creed, worship, and sacramental life of the Church: “For as we believe in the Father, Son, and Holy Spirit, so also we are baptized in the name of the Father, Son, and Holy Spirit” (St. Basil, On the Holy Spirit 12,28).